Astronomie - Besteht Zwergplanet Ceres aus Meteoritenmaterial ? 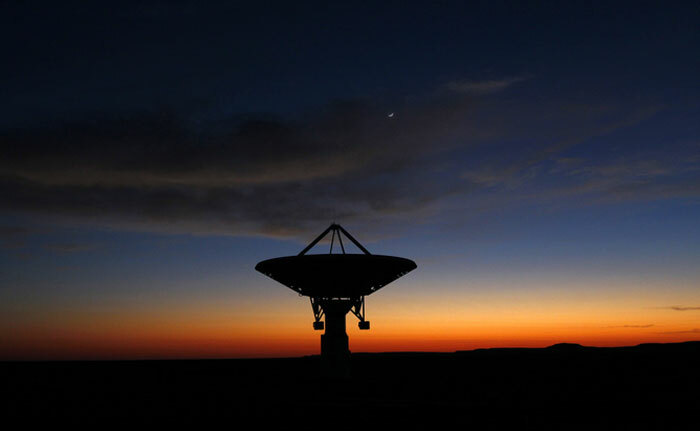 The world’s largest and most powerful radio telescope, which is to be constructed in South Africa from 2017, has the potential to stimulate interest in astronomy across Africa by tapping into the continent’s traditions of watching the night skies. The Square Kilometre Array (SKA) will be used by scientists to understand how the universe evolved as well as how stars and galaxies form and change. Traditionally, astronomy on the continent is associated with a history of watching the night sky without the help of telescopes. Such indigenous or cultural astronomy relates to how local cultures interact with celestial bodies. Africa has a continuing tradition of artistic representations of celestial bodies in identifiable forms, including stars, constellations, the moon, the sun and eclipses. As no borders exist in the sky it is a shared resource. The night sky is a source of inspiration and fascination used for navigation, time keeping, calendaring and monitoring menses and fertility cycles. The Tuareg in the Sahara, East Africa’s Swahili and people afar as Eritrea and Djibouti are renowned for their dexterity with navigation. When the decision to co-host the SKA in South Africa and Australia was reached in 2012, it opened the door for collaboration on the African continent. The arid regions of South Africa are ideal for the high and medium frequency arrays which are vital for the SKA. The groundbreaking, continent-wide telescope has a central computer with a capacity of the processing power of about 100 million personal computers. But South Africa is not the sole host for the components of the SKA in Africa. Eight other African countries will provide sites for radio telescopes that feed the network supplying scientists with the world’s most advanced radio astronomy array. These are Botswana, Ghana, Kenya, Madagascar, Mauritius, Mozambique, Namibia and Zambia. The sheer distribution of the countries provides an opportunity to stimulate interest in astronomy through citizen science on the continent. Citizen science is the practice of public participation and collaboration in scientific research to increase scientific knowledge. It is referred to as the the involvement of volunteers in science through active participation without pay. People share and contribute to data monitoring and collection programs. Often, the natural phenomena that scientists hope to assess have vast geographical distributions that make it cumbersome to study with conventional research methods. The participation of volunteers enables an enormous geographical reach and gives the public an insight into the scientific process and closer connection to nature. The Citizen Science blog CosmoQuest suggests that, just as it takes a whole village to raise a child, it takes a global community to raise the understanding of science. Volunteers assist in a variety of ways. These include taking pictures of night skies to give insights on light pollution. They also report on the seasonal changes in plants to understand the impact of climate change. In some cases they take rainfall measurements to assist weather reporting and research, as well as viewing the night skies for space exploration. Scientific knowledge has consequently been made more easily accessible through the media such as science blogs, social media, TED Talks and the Khan Academy. Similarly, the experimental side of science is coming to the doorstep of the layman by the kind courtesy of citizen science programs. There are several examples of thriving citizen science programmes around the world. BioBlitz is the city of Melbourne’s initial citizen science programme. It has used the public to conduct a survey of animals and plants in the city. Volunteers have since become involved in Melbourne’s ecology strategy. Globe at Night is a global citizen-science drive to increase public awareness on the effects of light pollution. Citizen scientists are invited to assess the brightness of their night sky and send their observations to a website from a computer or smartphone. Because of a history of the earth being hit by asteroids – huge rocks in space that can result in significant damage upon collision – the NASA Asteroid Initiative was launched two years ago. It gives citizens a voice in the decision-making of space exploration to protect the earth from potentially hazardous impacts. Many countries on the continent have space clubs, astronomy societies, and planetariums associated with educational institutions suitable for teaching and public viewing. Lay people and volunteers can join space related activities such as recording and identifying changes and features in many solar system bodies. They identify and track solar storms, observe and create light curves of variable stars, take and upload astrophotographs to a database of outer planet images and search images for tracks left by interplanetary dust grains. Counting stars in certain constellations sometime during a four-day period to determine light pollution is not beyond the ambit of the lay person. This is potentially an exciting time and opportunity for astronomy and citizen science in Africa. The University of the Witwatersrand, Johannesburg, also known as Wits University, is a leading, internationally-ranked, research-intensive university located in Johannesburg, South Africa, the economic heartland of Africa. Committed to academic and research excellence and social justice, Wits generates high level scarce skills for a globally competitive world, while addressing local social and economic development. At the forefront of a changing society, Wits is a social leader, dedicated to advancing the public good. Wits is known for its work in deep level mining, science, health sciences, accountancy, law, governance, and the humanities, amongst others. It houses five faculties which comprise 34 schools. Wits offers approximately 3 600 courses to about 32 500 full-time students, of whom about a third are postgraduate and 55% are female. Almost 65% of all doctoral candidates and about half of all enrolments are in the Science, Engineering and Technology fields. Wits has developed about 130 000 graduates in its 93 years of existence. It has a proud record in that about 87% of all publications are in accredited international journals. 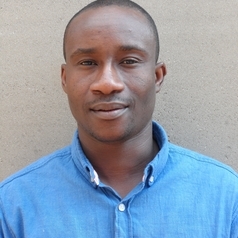 Felix Donkor does not work for, consult, own shares in or receive funding from any company or organization that would benefit from this article, and has disclosed no relevant affiliations beyond the academic appointment above.